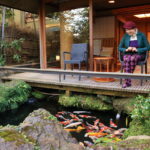 Izu-Kogen hotel "ABBA RESORTS IZU – Sitting(Zagyosoh) Abu resort is zagyeosou ", we will experience the Japan cultural activities are done in Japanese sword watching! 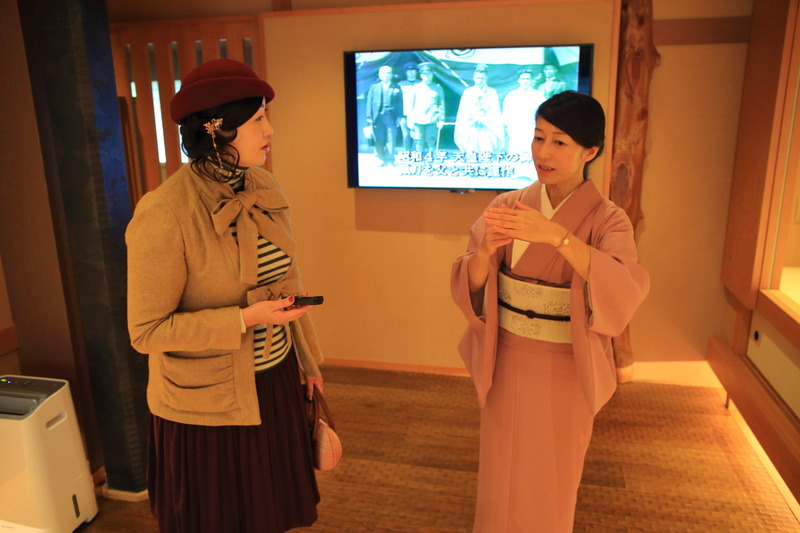 "Sitting at the、Memories of the journey provided fulled to be something deeper than Japan's culture and history, including a variety of experiences and、The Japanese appreciation this time to experience、Guests can watch free of charge at any time! Just、In the history for details、Advance booking is required please an very interesting remarks of Mr./Ms. 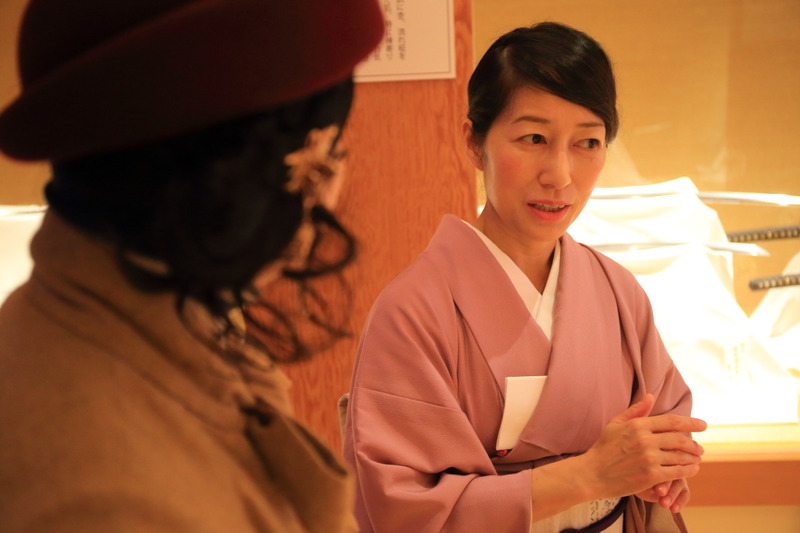 Harada Akiko staff will be responsible for the preservation of culture! Is raised in the "heart of Gallery" "primarily" from words in the questions and answers come out "blue tough book" daruma Daishi and Liang Wudi.、The principle of all things realized Buddha meant! 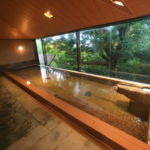 This principle in mind echigo wheeled warriors、Uesugi KenshinDuke、Temple of the Buddhist priest, Ken master and、Raises the amount of rinsenji temple gate built to "primary" and the large book, chopped、Kenshin is "righteousness I think、Beauty who has said I'm ' that has been left speechless! 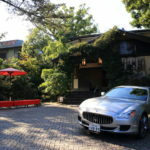 The owner of the sitting-so would be in favor of unrivaled JapanShin leaf villageChairman of the。"Righteousness" of the echigo-KenshinN. naoeOf being impressed by 'love'、2011It occurs in East Japan earthquake Japan struck a devastating blow to know、Niigata is great margin for himself、In October the same year quickly led company executives and officials that about 500 people from Taiwan, righteousness and love 20th anniversary meeting held、Also in supporting the hope of revival as a tourist destination in Japan suffer from stigma of radioactivity! 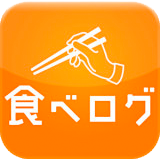 In doing so、With the Tablet as a sign of gratitude from Niigata entitled "primarily" award! 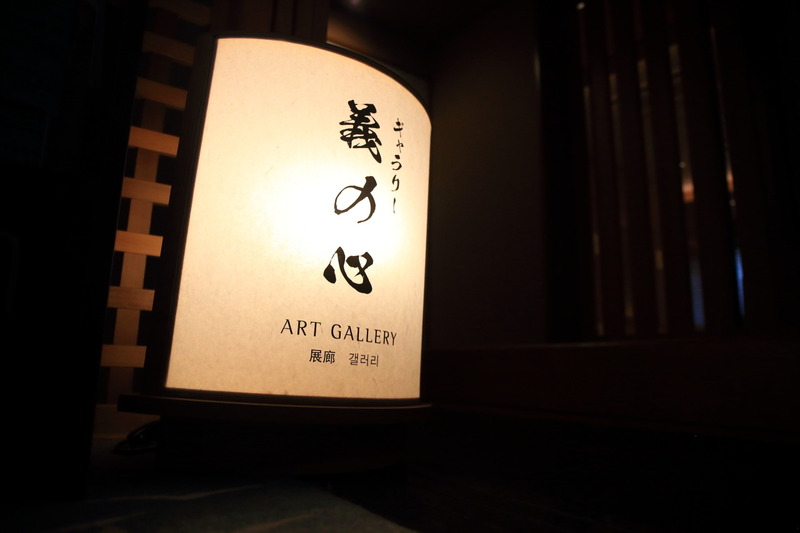 Even the gallery name "heart of righteousness.、, Has been named in honor of Kenshin, owner of"sitting" is held in high esteem sincerely longing to say! 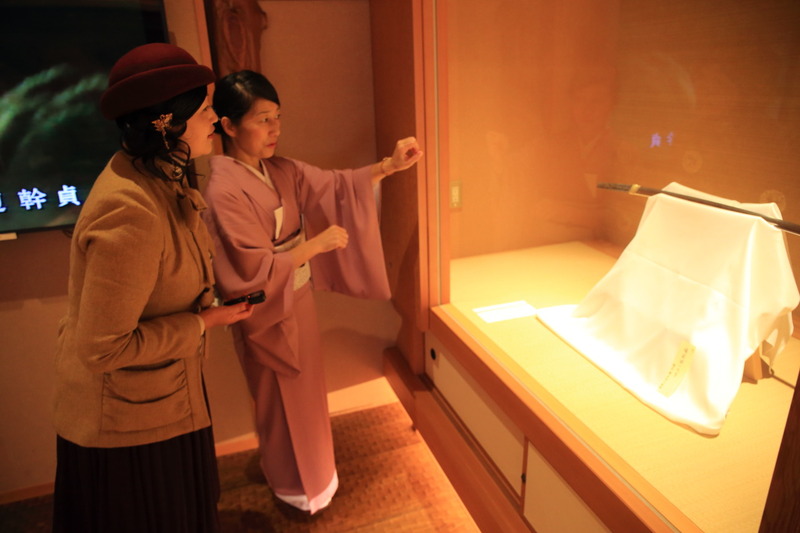 Also、The leaf Shinshu village President、Niigata has produced treasures swordsmith "Heaven Akio (also perforated succeeded)"follows a sword-making was being appealed, may、Heaven Akio following them、There is the inspiring story behind the production permission to repay their kindness to the Niigata! 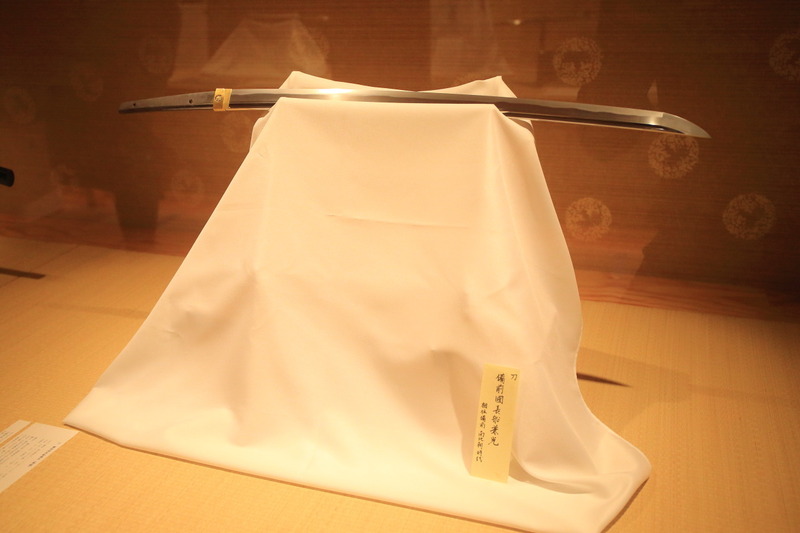 During leaves Shin village President so the offer "Katana in Uesugi Kenshin," righteousness "whole-heartedly for want to"、In the Gallery、The precious sword to worship is allowed! 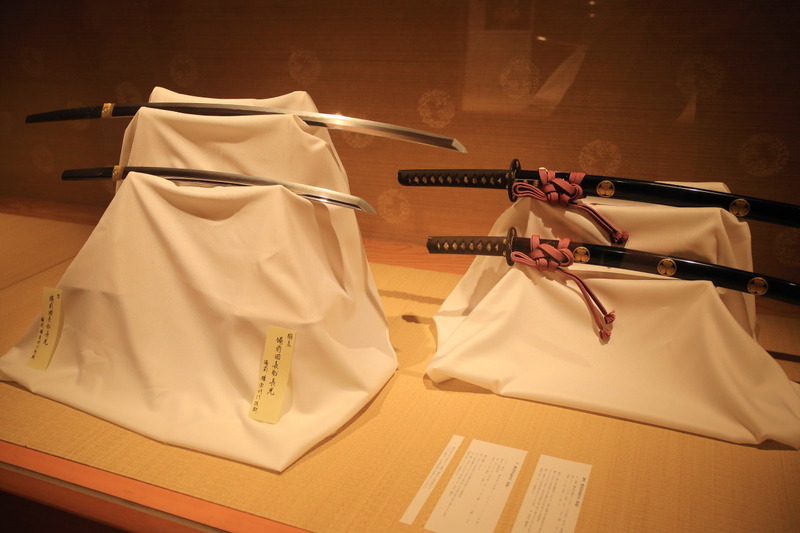 Enter the Gallery、In the tense air、Swords were shimmering in his dignified and orderly matching、Housed in a temperature and humidity controlled display cases! "First of all,、Such sign does not care、Feel think left。"And Mr./Ms. Harada Akiko staff! Breathing, calming mind、One swing at a time you and see your appearance! Different blade length and width、Curvature、I'm not even the shape of the spearhead is a surprise! Also、Straight into the blade、It's beautiful straight flute (flute) and、War Blade (midareba) looks wavy pattern edge statement、It also differ individually for each sword charm! 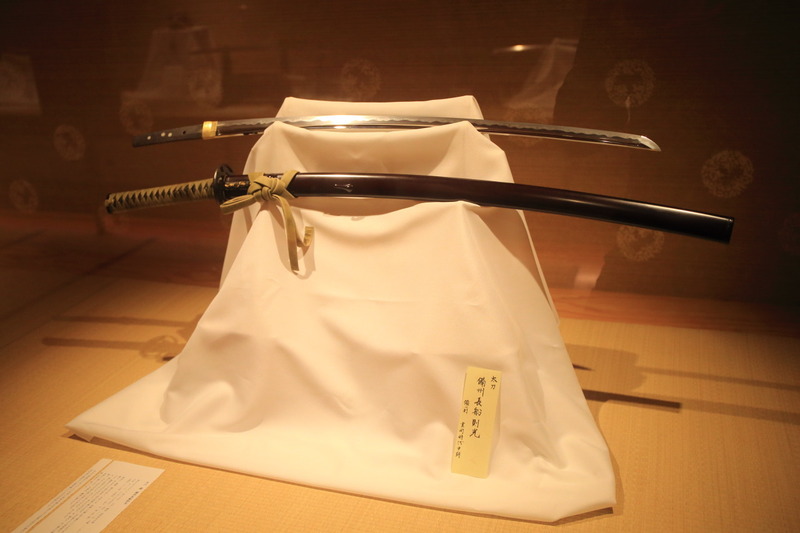 In the warring States period、Japanese sword was active as a dissecting opponents with 1 sword weapon、Its sharpness and flexibility、And in iron pulled Ben up to extreme power、The beauty that accompanies it has、Has gained a reputation as one of Japan's art! 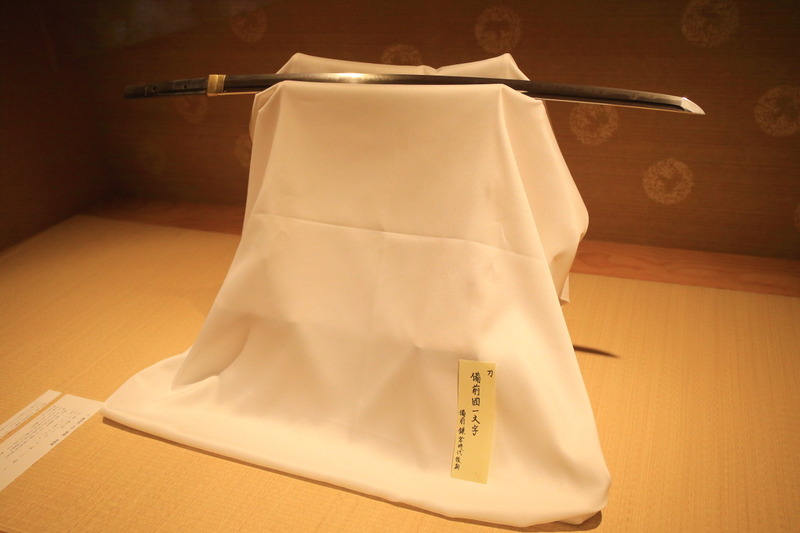 Here you will、Start up treasure in heaven Akio next (see Aki succeeded) multiplied by the life itself could be said sword (posthumous)、"Raven small Kenshin Uesugi Kenshin official specification" or "Izumo country living, long work," such as、Includes many renowned swordsmith works! 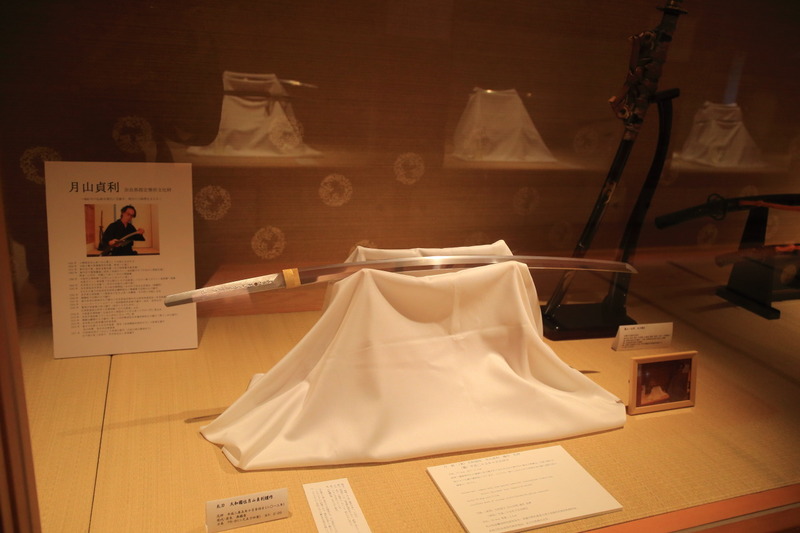 From the entrance、The separate earlier samurai swords and a modern sword in his right hand and his left hand! One of the oldest ones and new age difference what! 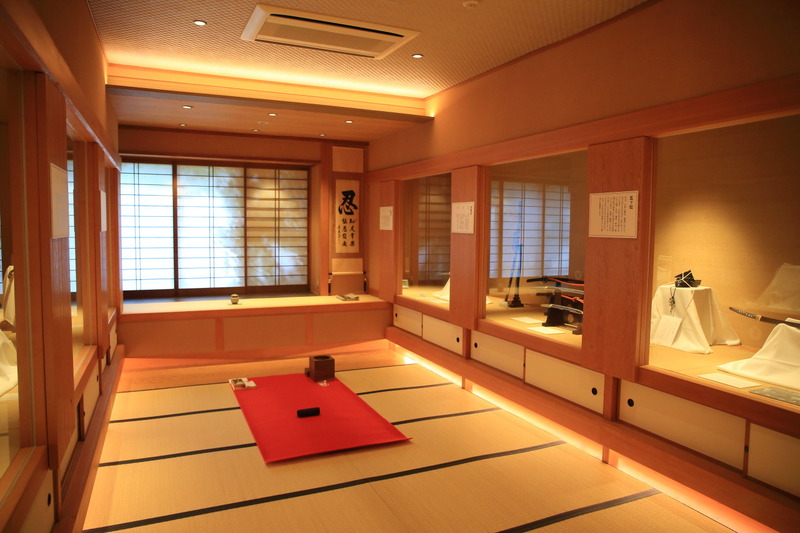 800 years is too.、You can feel the flow in the age and the weight of that tradition has been handed! 800Inheriting the tradition in modernGassan sword DojoManaging、Supported by modern sword world、"Gassan Jeong Shin" Gassan Sadatoshi Nara Prefecture designated intangible cultural properties as specified and their sons made sword activities started.、Each swordsmith and sword of the late Kamakura period other bizen (Okayama Prefecture) "bizen osafune nagamitsu.、The history of the sword has been passed down from generation to generation、While listening to a detailed description、Learn the history of the Japanese sword that can、Once again、In the background while viewing、It is strange because it seems very different! Would you have time、Redraw the swords oil Mr./Ms. 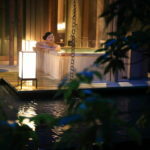 Harada's staff caring moments will be a valuable experience、I think your reservation on the pre-view! At the entrance、Movie "Princess Mononoke"Even mythology come out of country、The okuizumo in Shimane Prefecture clouds "Tatara iron traditional forging workshop kurogane workshop Kurogane"And throw the black and white video footage that manufacture Samurai sword、Show that Japanese swords were made in any manufacturing process. 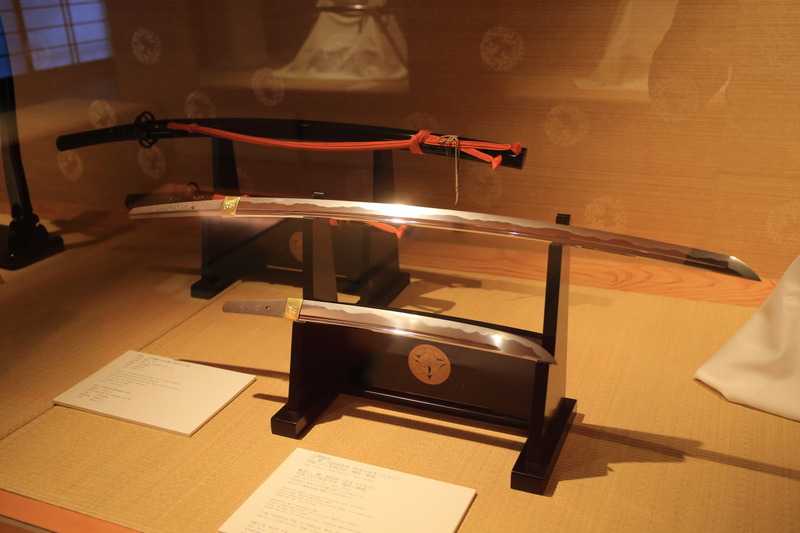 Produced by using steel with raw materials of the Japanese sword iron furnace、Best reach around 1400 degrees、Japanese steel to produce great work keep stoking the fire 3 nights 3 days、Chosen as the sword of raw materials but of high purity steel、The world of training starting from there! 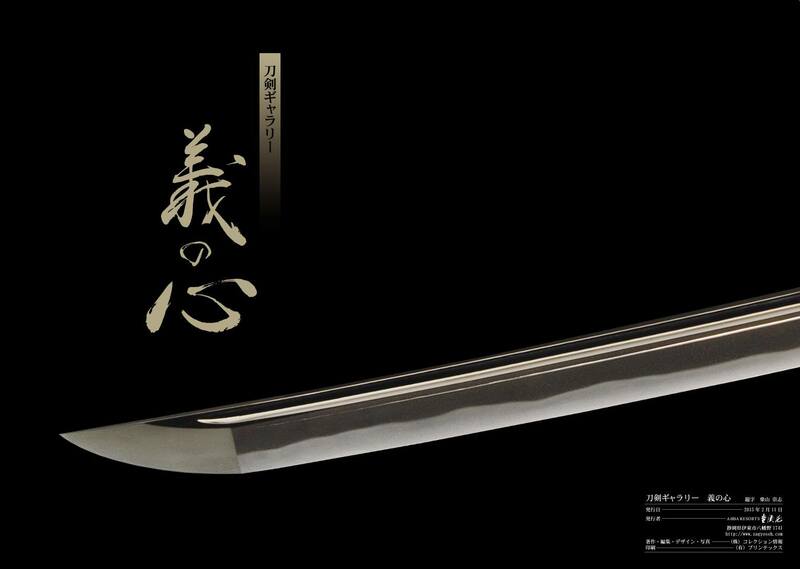 Japanese sword is not built only participates、研師, Saya-Shi、Lacquerer、Makie lacquerers、Metal master、First perfected by artisans such as silver master、Separately for each process, specialized craftsman is there! 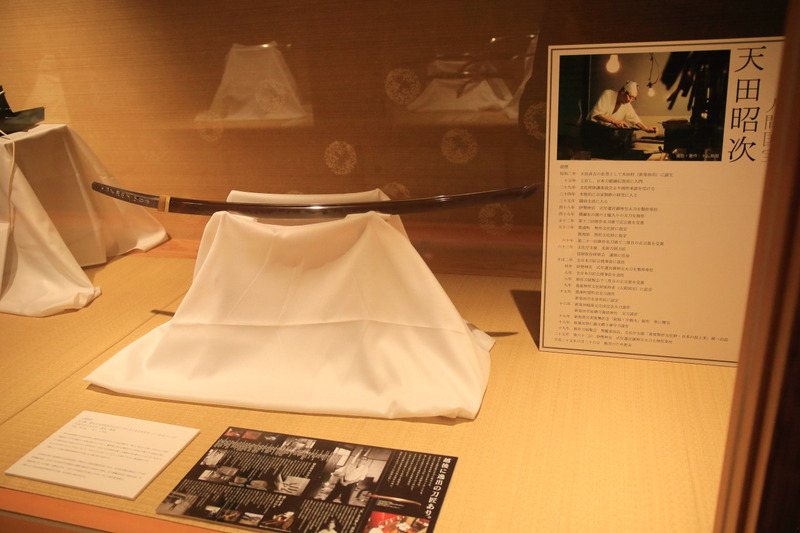 Here is Japanese Katana by swords boom over the years to attract attention、And the swordsmith's successor problem、That instability is the supply of steel raw materials for swords and charcoal、In the swordsmith world are faced with challenges、The owner leaves Shin village President、These historically valuable sword conservation preservation and tradition、1 swords fan us plays of this gallery!